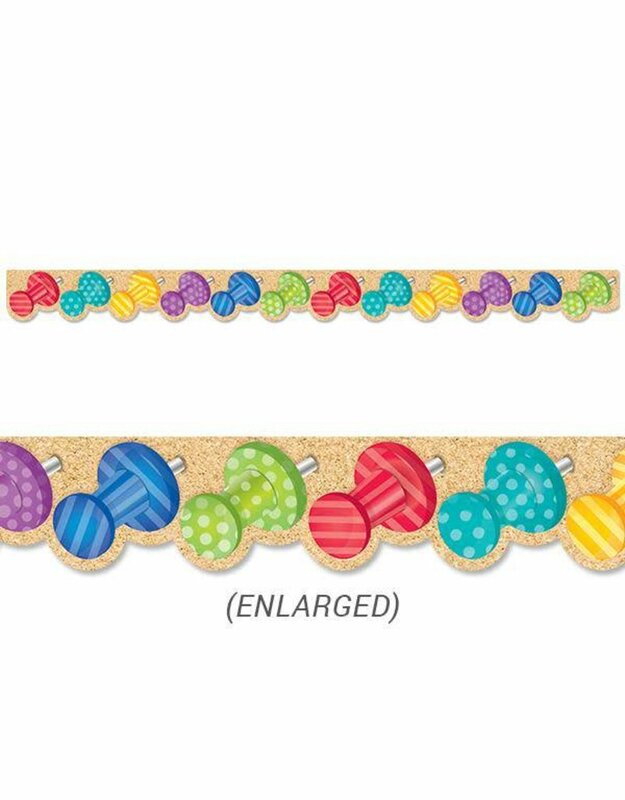 Brightly colored push pins are the star in this Push Pins Border. Stuck into a corkboard, this rainbow of push pins (lime green, blue, purple, yellow, turquoise, and red) are accented with stripes and polka dots to create a cheerful design. Perfect for use on bulletin boards in a wide variety of classroom, office, church, college, and non-school settings. 35 feet per package Width: 2¾"